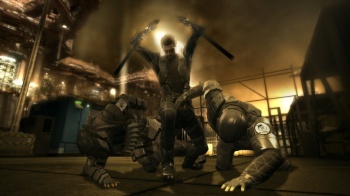 A new crop of free titles will soon join the PlayStation 3's PlayStation Plus offerings, including Deus Ex: Human Revolution and Saints Row The Third. When Sony first announced the details of the online services that would be accessible from the PlayStation 3, prospective buyers were elated to see that online gameplay would cost them absolutely nothing. That was a big positive when compared to online play on the Xbox 360 which requires an Xbox Gold membership. However, Sony quickly realized that it could make even more money by charging a subscription fee for enhanced online functionality, specifically the ability for subscribers to download and play certain games for zero dollars. The collection of games on offer from the PlayStation Plus initiative has steadily been growing over time, but Sony's June additions to the service may be the best yet. As of now, those with active PlayStation Plus memberships have the opportunity to download PlayStation Vita titles like Zero Escape: Virtue's Last Reward and Orc Attack, while PlayStation 3 owners can pull down Machinarium, Deus Ex: Human Revolution and Saints Row: The Third. Those last two titles are the reason for this news post, as they are undeniably two of the best games released during 2011, and could easily find a home among the best games of this current, moribund console generation. If you have a PlayStation Plus subscription and haven't played either of these titles, now would be a great time to rectify that. Alternately, if you don't have a PlayStation Plus membership, Sony would be happy to sell you one in either three month or one year increments for $18 and $50, respectively. As with all PlayStation Plus offerings, those of you who download these titles will be able to play them until your subscription is no longer valid -Â a very helpful feature due to how much stuff one can do in Saints Row: The Third. Since these games are still free until you remove them from your hard drive (or your PlayStation Plus account goes inactive), now would also be a great time to pick up any of the aforementioned titles you've been meaning to play. Otherwise, once we pass those dates listed in the quote, they'll be gone forever, and you'll be forced to pay retail to enjoy them.